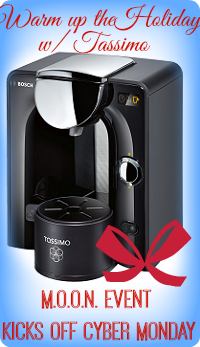 When I win this I'll make the best Caramel Latte Macchiato I ever had! I love that the Tassimo T55 makes so many kinds of drinks. Being that it has the Instant heat-up and fast first cup feature is the biggest reason I'd want one! I hate waiting for my coffee to brew in the mornings. The first thing I'd make if I won this would be a latte. I really want to try the Gevalia Caramel Latte Macchiato! That sound amazing!